November is diabetes awareness month. 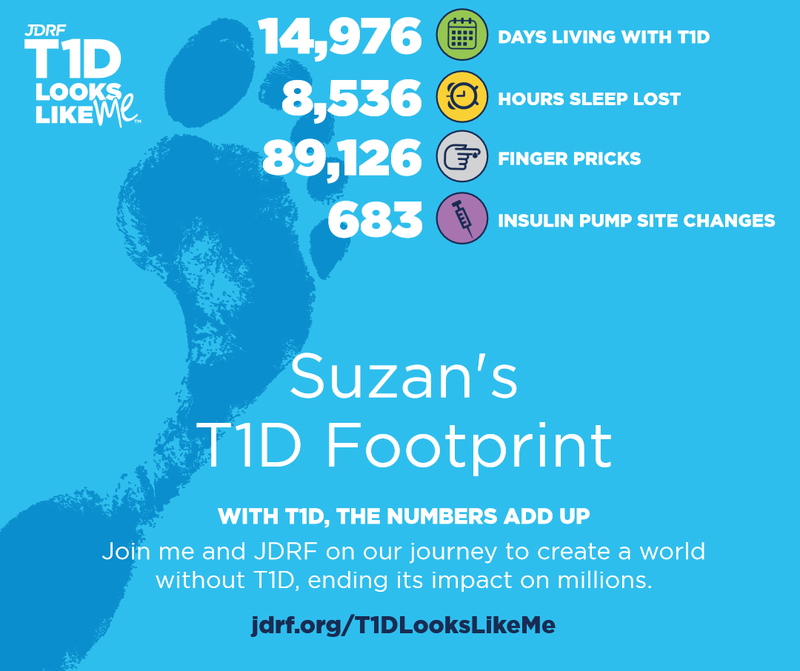 It was early November 1975 when I was diagnosed as a Juvenile or "Type 1" diabetic, which makes me in my 42nd year of living with this challenging disease. I've seen people online say they've been "battling" this disease for "X" number of years, and personally I disagree with the term. If your going to be in battle mode for the rest of the life, your going to be losing all the time. For me, diabetes is a disease you must accept and live with as best you can. There are ups and downs all the time. They are sometimes unpredictable and seem to happen for no reason. You just have to do the best you can. Kind of like life. Here's just a few of the ways diabetes has impacted my life according to a T1D footprint generator off the JDRF (Juvenile Diabetes Research Foundation) website. You also need to add 58,256 insulin injections as that's the way I treated my diabetes (as many people did, and still do) until I began using a pump in March 2011.